Kaburu SSK, MacLarnon A, Majolo B, Qarro M, Semple S (2012). Dominance rank and self-scratching among wild female Barbary macaques (Macaca sylvanus). African Zoology., 47: 74-79. Measuring rates of self-scratching provides a powerful index of anxiety in non-human primates, and investigating the relationship between self-scratching and dominance rank can shed light on the ‘emotional costs’ of holding different positions in the hierarchy. Here we explored the relationship between self-scratching rates and rank in wild adult female Barbary macaques (Macaca sylvanus) in Morocco.We found a significant correlation between rank and females’ mean self-scratching rates over the study period, with subordinates showing higher rates of self-scratching. Analysis of temporal variation in females’ self-scratching rates indicated that while these rates were related to measures of both grooming and aggression, the relationship between rank and self-scratching remained significant even after controlling for these effects. Our data suggest that lower ranked female Barbary macaques suffer higher levels of anxiety than more dominant individuals, and hence that there is an emotional cost associated with having low social status in this species. 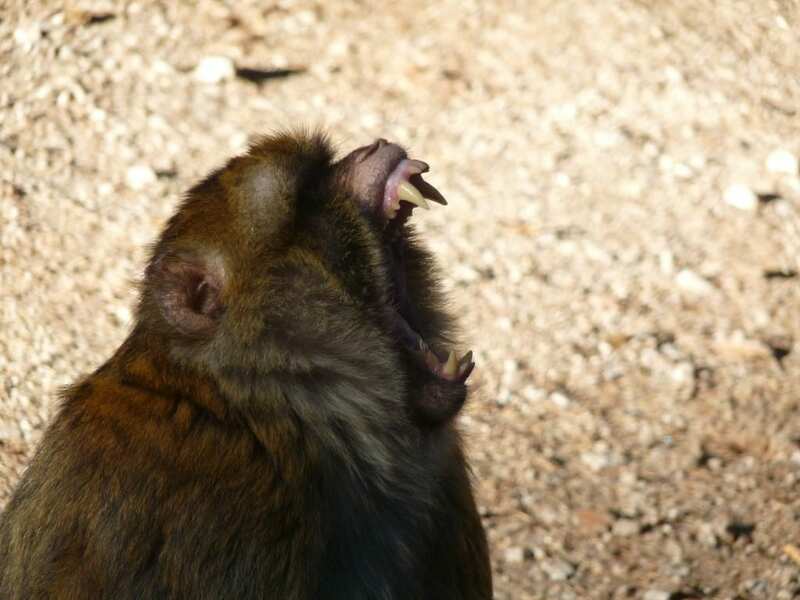 Yawning, as self-scratching, is considered a behavioural sign of anxiety in many primate species. In some species, males also use yawning in competitive interactions as a way to show their canines and thus their strength.